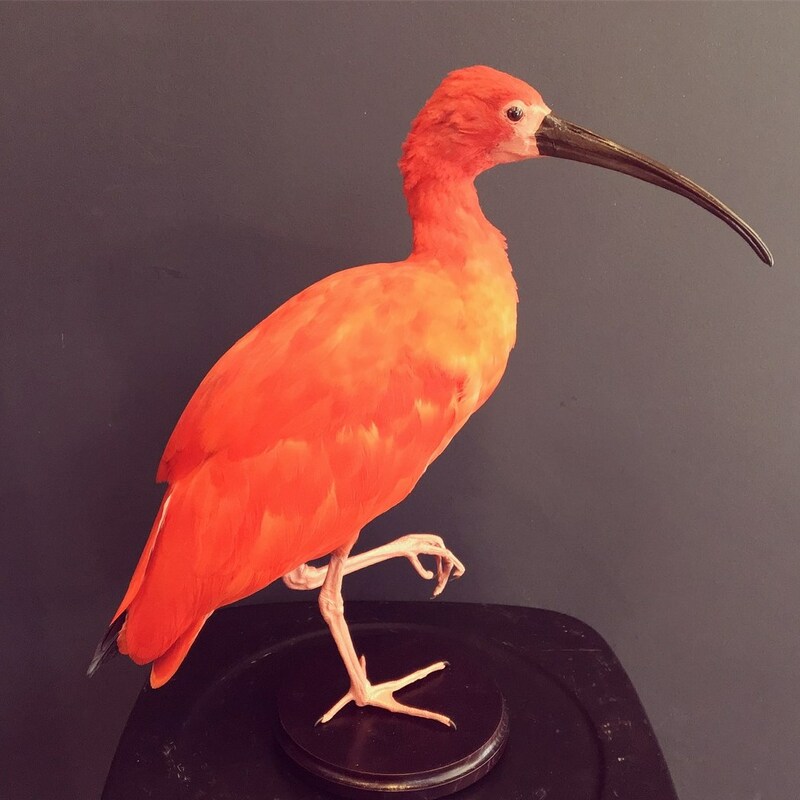 The Scarlet ibis a species of birds in the ibis family, Threskiornithidae. It lives in the southeastern United States, Brazil, Cuba, Trinidad and Tobago and Suriname. The ibis family counts 28 extant species and 2 extinct species. 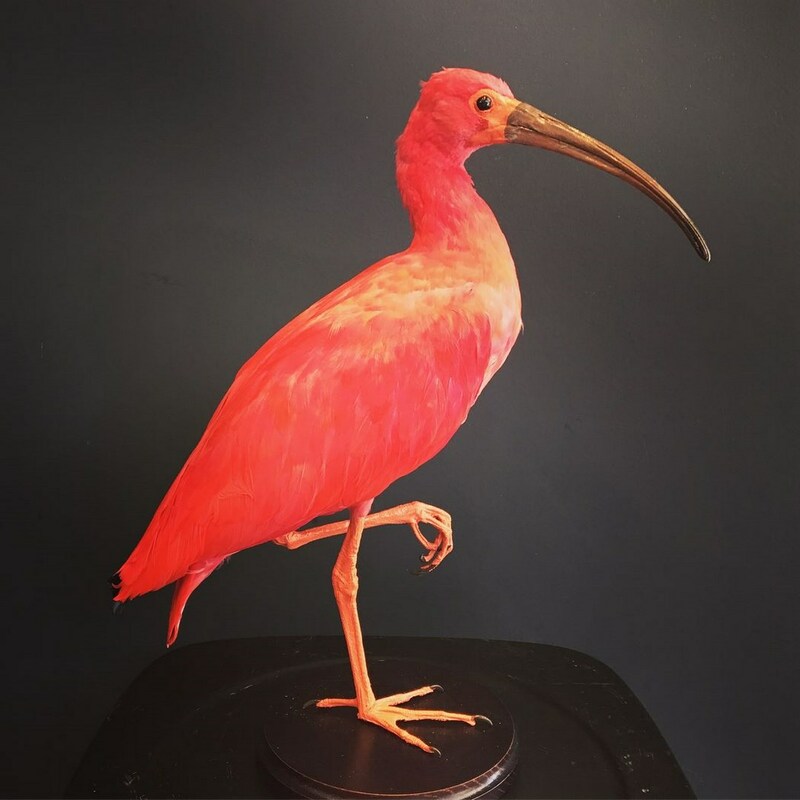 The most popular and well known are the scarlet ibis, the black ibis, the australian white ibis, the american white ibis, the african sacred ibis. This bird has a long thin beak curved downward. All feathers are red except the tips of its wings are dark blue. As the Cuba Flamingo, color resulting carotenoids from its essentially consisting of shrimp feed. Females are smaller and juveniles are paler. 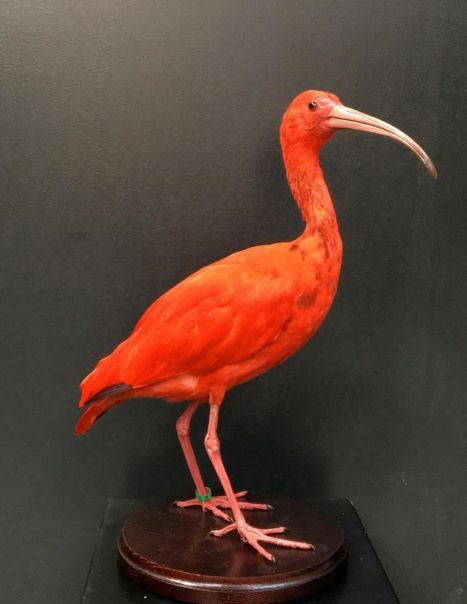 It is 60 cm with a wingspan of 1 m. A red ibis weighs between 700 and 930 g.
In form it resembles most of the other twenty-seven extant species of ibis, but its remarkably brilliant scarlet coloration makes it unmistakable. Its living place is always near a waterfront. It loves to perch in the treetops. He attended many swamps, lagoons, mangroves and marshes vases. This is the preferred location for finding food. Its diet consists of crustaceans. In its menu also add aquatic insects, snails, frogs and small fish. The scarlet ibis is polygamous. During the mating season, the male performs a courtship to conquer females. After copulation, the female lays 2 to 4 eggs in a nest located high in the mangroves. The proximity of nests is strategic to reduce the risk of predation. The breeding season begins in mid-September until December. The male and female take turns to incubate the eggs for about twenty days. The chicks remain in the nest about a month before their first flight. It was only two and half months they become fully independent. The lifespan of a red ibis is 16 years. However, man is the greatest predator of the red ibis. It is highly demanded for its red feathers and is the target of poachers long time. Therefore, the species is endangered and enjoys the protection conferred by the Washington Convention since 1987. The perpetuation of the species can probably go through the crossing with the white ibis. This medium-sized wader is a hardy, numerous and prolific bird and it has protected status around the world. Its IUCN satuts is Least Concern.